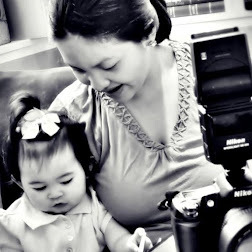 Rina's Rainbow: Greenwich's New Superior Flavors! 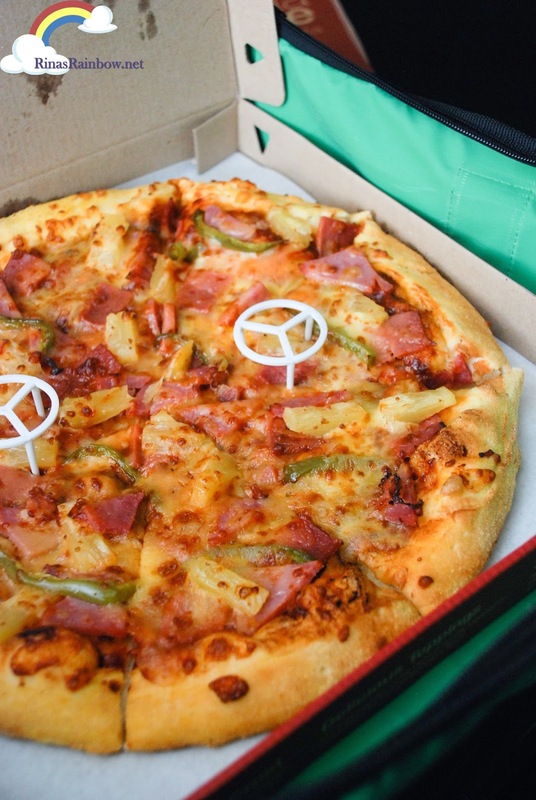 Presenting Greenwich's Hawaiian Overload wherein they added green bell peppers, lots of juicy pineapples and delicious savory meat! This is perfect because I also like having green bell peppers in my pizza for that added crunch. (Price starts at only P99 per solo size). 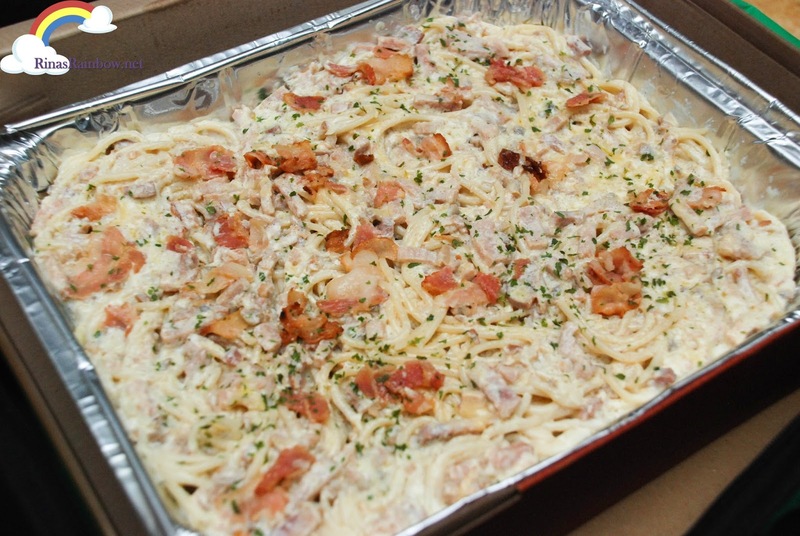 Greenwich also now offers a new pasta flavor, one that Richie is thrilled about (because of the fact that he can't really eat pasta with red sauce), it's Greenwich's Creamy Carbonara! Enjoy big slices of bacon in creamy white sauce! (Price starts at only P79 per snack size ala carte). Thanks Greenwich for making us try these new superior flavors! 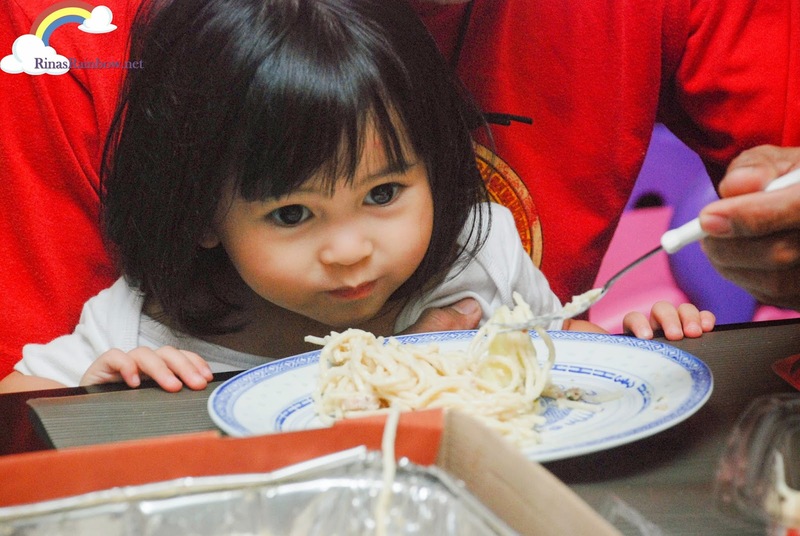 My dad came over that night and thankfully I had those pizza and carbonara to serve hahaha! He loved it! The little Rainbow obviously loved it too! 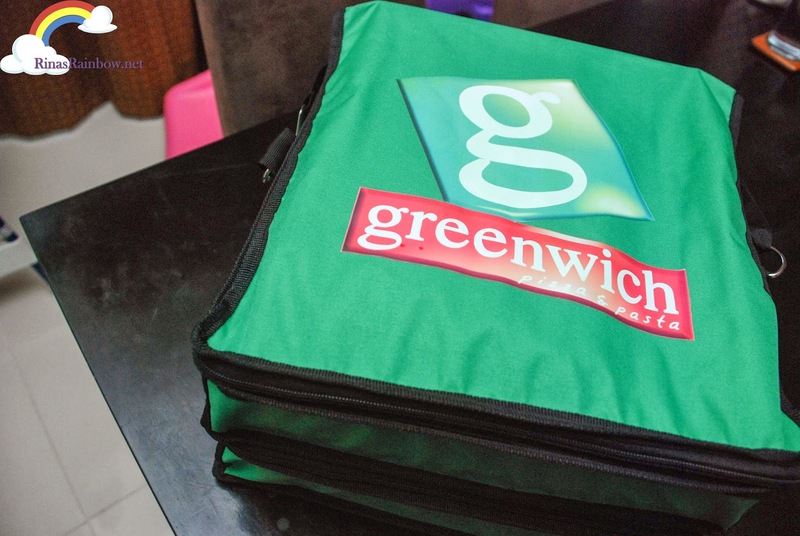 Find other store locations at greenwich.com.ph !